Faith D is our January 2016 student of the month! Faith was nominated by a fellow senior company member because of her work ethic and her polite and respectful demeanor. Faith works to the best of her ability in every class and never holds back. She inspires her classmates to work just as hard. 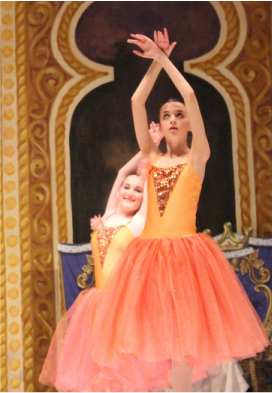 Faith has grown from a tiny hip hop dancer into beautiful ballerina and a wonderful role model for all of our aspiring students. Way to go, Faith!